The only way to turn off alarms is by solving brainteasers. 14-3x12= easy, right? Try it first time in the morning. Make sure that you wake up with additional features like flashlight strobe, snooze limit and irritating sound. All that and you still go back to sleep? We'll check if you're still in bed and set off the alarm again. And again. "I'm a super sound sleeper and absolutely HATE waking up in the morning. Previously, setting 8-10 alarms to try and get up. Since downloading this app, only need the one!" "Best Alarm Ever! My whole family uses it and thanks to this alarm were on time thanks you so much!" "I'm pretty resilient when it comes to waking up, but by the time I get through the puzzles Im up for good. I love to hate this app." Standard is enough. Try Pro if you need more. In alarms list swipe the alarm left or right. How to change alarm volume? 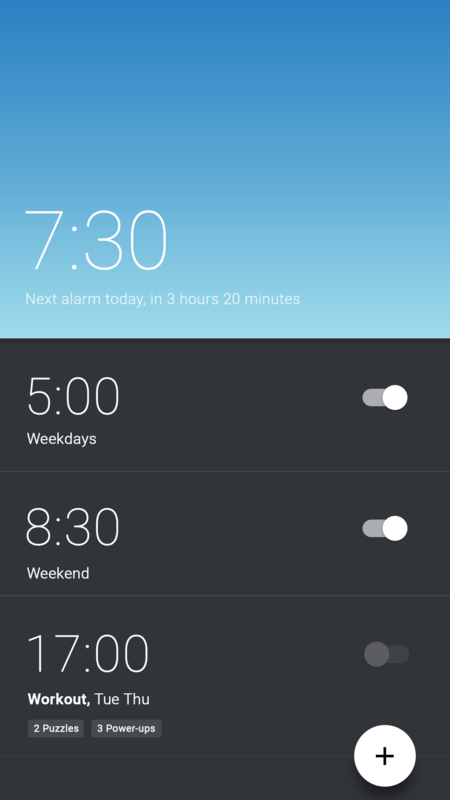 Puzzle Alarm uses your phone's alarm volume for all alarms. You can change it in the app settings.